I was fortunate to represent the Ohio Corn Marketing Program (OCMP), along with a few of our officers and board members, at the U.S. Grains Council’s (USGC) 9th International Marketing Conference and 52nd Annual Membership Meeting in Panama February 13, 14 and 15. The meeting is for state checkoff organizations and U.S. agribusinesses to discuss and plan for opportunities and challenges facing U.S. grain exports. 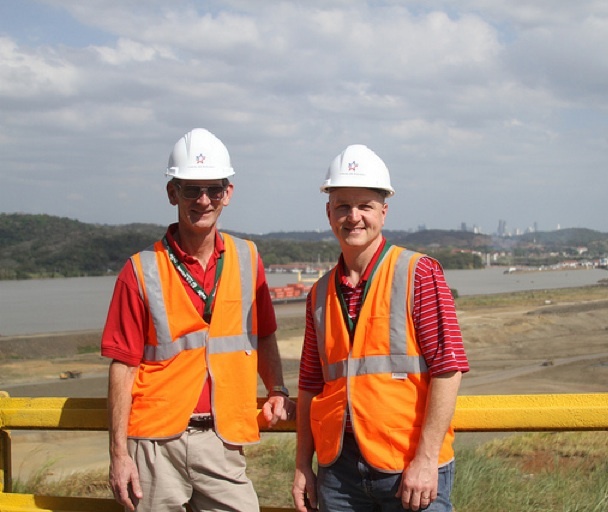 The Panama Canal is strategically significant to all exporting countries. Governments throughout the world count on it as a vital channel for most international trade opportunities, making the maintenance of its infrastructure critical. A new generation of ships, called Post Panamax vessels, will haul three times the freight of current Panamax vessels. These new, larger ships will change the cost of shipping grain throughout the world, but don’t fit through the current canal locks and can’t navigate some of the current canal turns. Therefore, it’s being expanded. This new era of transportation represents great opportunities for US grain exports. But, many implications are hindering America’s ability to maintain its footing as a principal global-trade powerhouse, including tariff and non-tariff trade barriers, foreign production and export subsidies and price competition from aggressive competitors in Argentina, Brazil and the Black Sea region, which are increasing production in response to high global prices for corn and other feed grains. Experiences like this remind us that every farmer in Ohio is competing in a global market. Maintaining U.S.-exports dominance is one of many factors effecting individual farm profitability. Ohio’s corn checkoff investment and grower involvement in the USGC is our recognition of this important market and of our commitment to developing market opportunities throughout the world. View photos of the annual meeting in Panama. This entry was posted on March 1, 2012 at 9:10 am and is filed under Ohio Corn & Wheat. You can follow any responses to this entry through the RSS 2.0 feed. You can leave a response, or trackback from your own site.